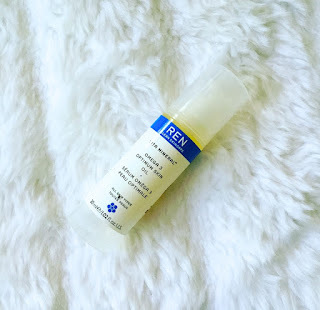 After collecting numerous sample pots, learning about a heap of skin care related information that I was never aware of and finding out that my skin type isn't what I thought it was, I finally narrowed down a easy, no fuss skin care routine. I've always been the type of person to get excited about including a new routine in my life, doing it for a few weeks and then forgetting about it (like when I bought my Frank scrub and promised myself that I would use it every 4 days). So when it came to my skin care routine, which was non existent at this point, I knew I had to implement something easy and manageable using brands that suited my skin and my personality. I love more natural based skin care compared to pharmasutical, so that's where I worked out which brands would suit me better. I also highly value not testing on animals. After taking numerous samples home from Mecca Maxima, I decided on 7 products that would make up my skin care routine. 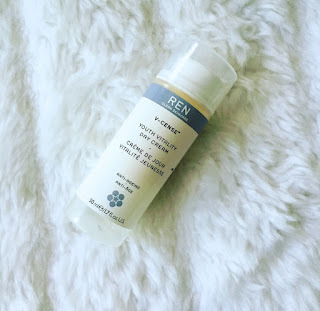 From the brand Ren, which is a very natural based skin care company, I use their exfoliator, cleanser, moisturiser & serum. 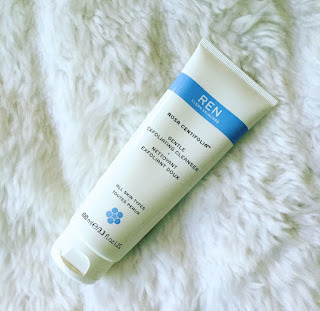 I exfoliate every 2-3 days depending on how my skin feels using the Rosa Gentle Exfoliating Cleanser. 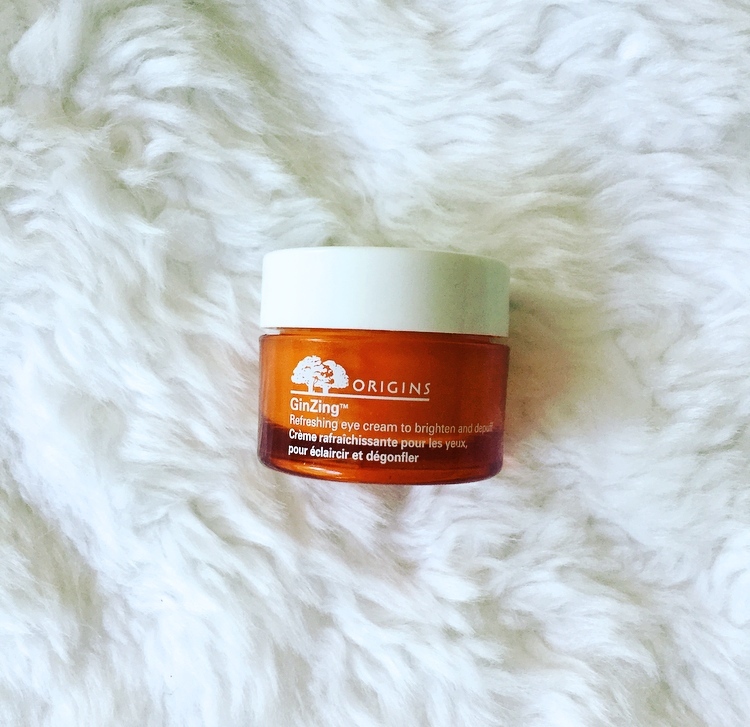 I find this works really well for my skin as the exfoliating beads are gentle on my skin and don't leave it feel like it's been vigorously scratched. It also smells delicious as it's peppermint infused! I use the Rosa Centifolia Cleansing Gel twice in one session to give my skin a double cleanse when I'm not exfoliating after. Once with my Clarisonic Mia 2 & then the second time just with my hands to tackle the sensitive regions of my face. If I'm exfoliating then I'll only cleanse once. Once my face has been cleaned and/or exfoliated, I like to use the Youth Vitality Day Cream, which pumps my skin full of moisture and provides excellent hydration. I then follow this with the Omega 3 Optimum Skin Oil Serum which acts as a barrier to hold the hydration and moisture within the skin. 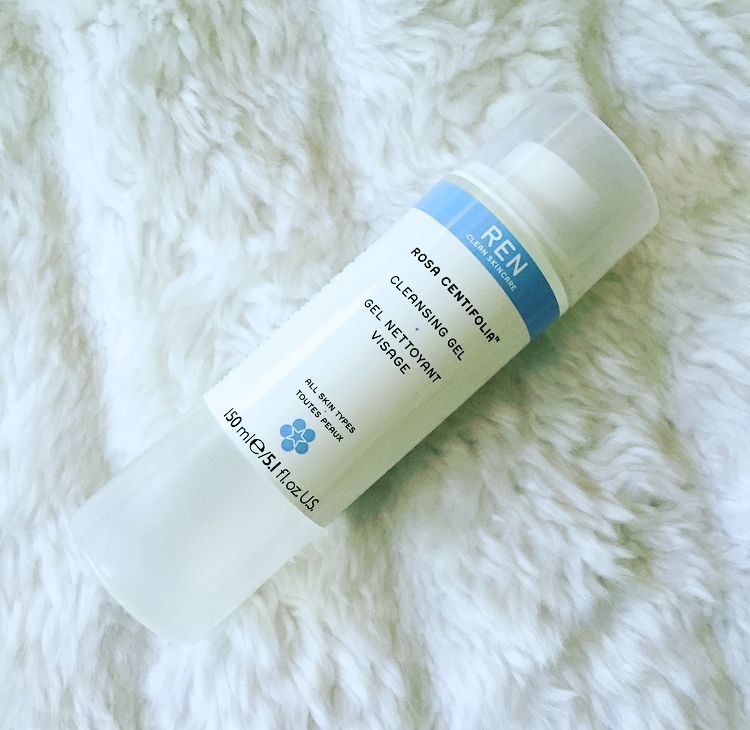 It's great for both dry and oily skin as it doesn't leave an oily film on the skin, instead soaking in and holding in the hydration. From this brand I absolutely fell in love with their eye cream which contains Ginzing and is called the Ginzing Refreshing Eye Cream. This is another natural company which uses Ginzing, Caffeine and Magnolia to help pump life back into tired eyes and get rid of any dark circles or signs of fatigue. It's super creamy and feels so light weight on the eyes and I'm definitely seeing some progress with the diminishing of my under eye circles. I am absolutely obsessed with facial masks at the moment, so when I found a mask that contains honey, fig, lavender and rosemary, I knew it was a match made in heaven. The Facial Detox Purifiying Mask from this company is absolutely amazing. All you do is spread is over your t-zone and any other problematic areas and leave it to dry for 10 minutes. You can also see it work before your eyes as the mask works its way into your pores to flush them out. It's gentle and extremely effective and I normally use it 1-2 times a week on days when I don't exfoliate. We all have those days when we can't be bothered taking off our make up and normally find ourselves in bed with a full face still on, contemplating whether we should get up to take it off. Or it's when you've just come back from a night out and it's super late and you just can't be bothered. This is why I had to find a make up remover that I could implement into my routine for those lazy days. 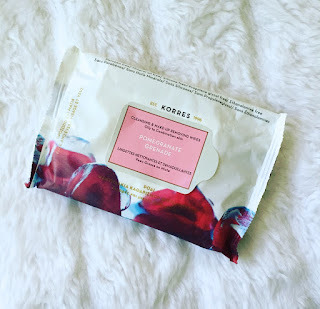 The Pomegranate Grenade Cleansing and Make Up Removing Wipes are perfect for those days where you don't feel like doing your full skin care routine but know you have to take your make up off to prevent waking up with a pimple.